With a strengthening rand boding well for travel, savvy shoppers are getting ready to snap up over 500 exclusive travel deals at the Flight Centre Travel Expo this weekend. 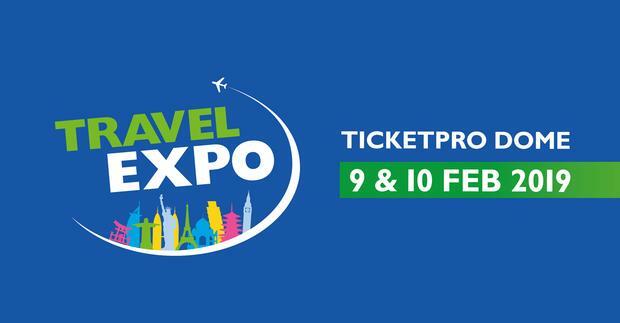 The Travel Expo has seen a record number of registrations so far. The annual event returns for its ninth year at the Ticketpro Dome in Johannesburg on 9 and 10 February 2019. “With over 200 exhibitors and over 500 travel deals – all under one roof – you’re sure to find your dream holiday at an ideal price,” says Andrew Stark, Managing Director of the Flight Centre Travel Group Middle East and Africa. “It promises to be a fun outing for the whole family with play areas, food stations and a vibey beer garden for the grown-ups, so there’s plenty to do and see! You don’t want to miss out,” concludes Stark. Subscribe to the Expo newsletter to get a sneak peek of travel deals and stand a chance to win a MSC Cruise for two: www.travelexpo.co.za. Tickets are also on sale online for R50 or at the door. Admission is free for children under 18 years of age. Jeanette Phillips joined the team in 2016. She developed a passion and love for all things-travel related in her role as travel journalist, a position she held for over seven years. A brief exodus into the corporate marketing sphere proved that there is no better industry than the travel industry. Research and writing are two of Jeanette’s greatest passions, but she is always open to new challenges and different ways of doing things. Inside Travel is a privately owned and produced travel news website, established in 2016.